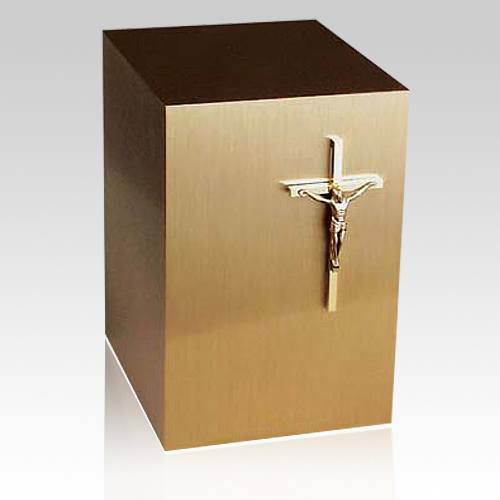 The Classic Crucifix Bronze Cremation Urn is made from bronze. 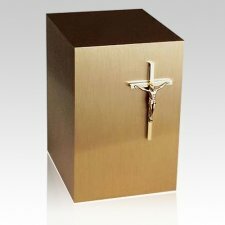 The Urn is accented with a stunning bronze applique of a traditional crucifix and finished to a soft polish. This urn is sure to create a peaceful resting place for your loved one.